I just returned from one of my new favorite local businesses, Taylor Rental in Avon, Ohio. My husband and I decided to rent a paint sprayer to paint our aging deck. It is an every third year project for us and one we don't look forward to. (In fact, the last time it was done my husband was in Iraq and my mom, dad and I did it. Clever way to get out of it there, hun.) Our time has become more and more valuable over the years and spraying the paint onto the deck followed by a quick rolling job sounded like a great option to an otherwise three or four day project. But what makes Taylor Rentals my new favorite, you may ask? After a few phone calls with their helpful staff trying to narrow down exactly what we needed we walked in to their store, baby in tow. The gal at the front desk wore a smile as a permanent accessory to a great store-front. She smiled with my 10-month old. Told us exactly what we needed to do, swing around back to pick up our equipment. She set expectations and was upfront with their cleaning-charge. Explained the charges and then asked for our credit card. As my husband, a National Guard soldier, opened up his wallet she must have seen the flash of his Military ID. Without a second thought she asked if he was in the service and he replied, "Yes". She quickly added Taylor Rental offers a 10% Military Discount and took it right off the bill. Just like that. We didn't ask. We didn't expect it. It was just a gift. Do you take the time to listen to your customers, interact with them, treat them as more then just a transaction?﻿ If you do expect them to come back! I know we will. Giveaway-Extravaganza - We NEED You! We want to introduce you to the military-community in a fun and exciting way this summer! Be a part of our Giveaway-Extravaganza when "Our Letters to You", MilitaryAvenue's award-winning Military-Family Blog hits 1,000 posts. (That's a lot of writing, a lot of readers and a lot of military-family face time!) This is a great opportunity for you, the MilitaryAvenue Partner. Your story, your discount, your support is a very important piece of the MilitaryAvenue story. (I would say the most important part.) The part that lets the military know about the support they can find in their community. So how do we spread the word for you? Military Discounts Page. 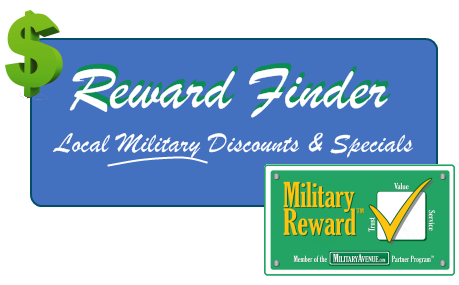 This is one of our most visited pages on MilitaryAvenue.com. 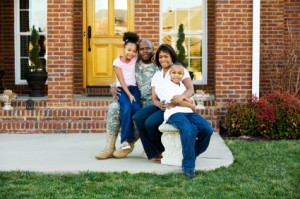 Military families find their branch, then their installation, and WA-LA! they have a page of businesses in their community that support them! Going Viral with MilitaryAvenue and CNN - "Tell Your Story"
Do you see the byline in this image taken from a CNN live broadcast? MilitaryAvenue.com was featured in a midday story on Military Spouse Appreciation Day last month! May was Military Appreciation Month and many businesses responded with some great support to the military community! Did you know about Military Spouse Appreciation Day? Armed Services Day? Memorial Day? We received some great coverage from CNN on Military Spouse Appreciation Day with our blog on 101 Ways to Thank a Military Spouse! When they made contact about our blog and talked about it live on CNN, we jumped a bit with excitement! CNN recognized that we were supporting this great group of patriots and we asked them to "Tell Our Story" and they did! After their coverage and being posted on several Facebook pages including the official US Army page the blog went viral!